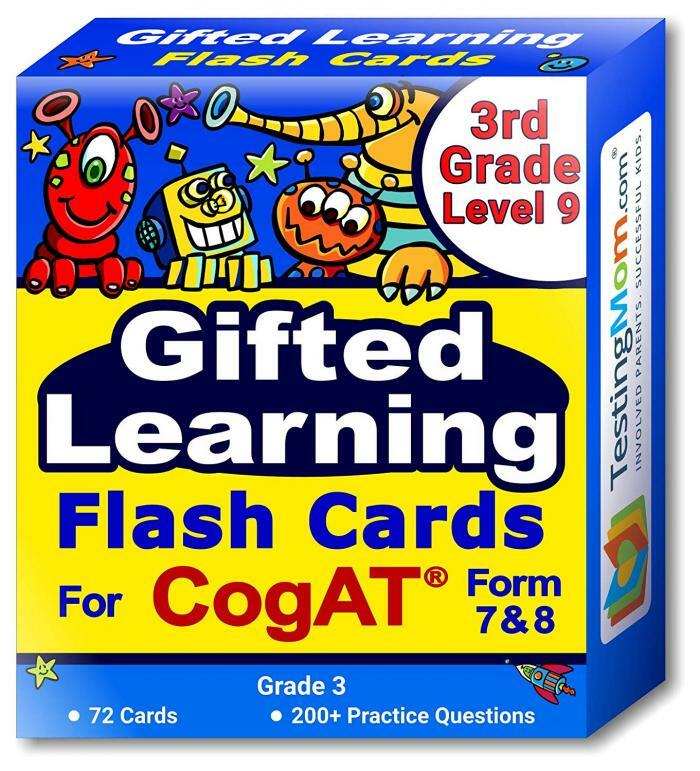 TestingMom.com Gifted Testing Flash Cards for CogAT® Form 7 & 8 include 72 cards covering over 200 questions and learning activities for the 3rd Grade level of the Cognitive Abilities Test to reinforce each concept through playful parent-child interaction. 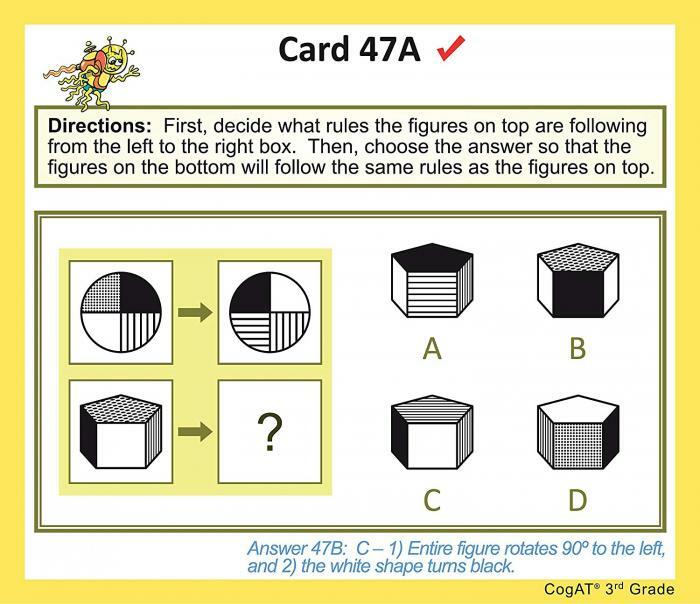 Teach children the verbal, quantitative and non-verbal concepts they need for gifted and talented and achievement test preparation and answering questions on the Cognitive Abilities Test (CogAT)! 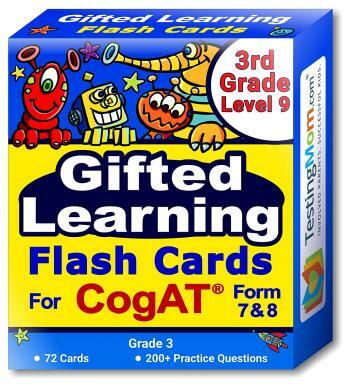 Not just for students applying to gifted programs or taking the CogAT Test – these flash cards cover the vocabulary, math and non-verbal abilities all children are expected to demonstrate for 3rd Grade readiness and success. 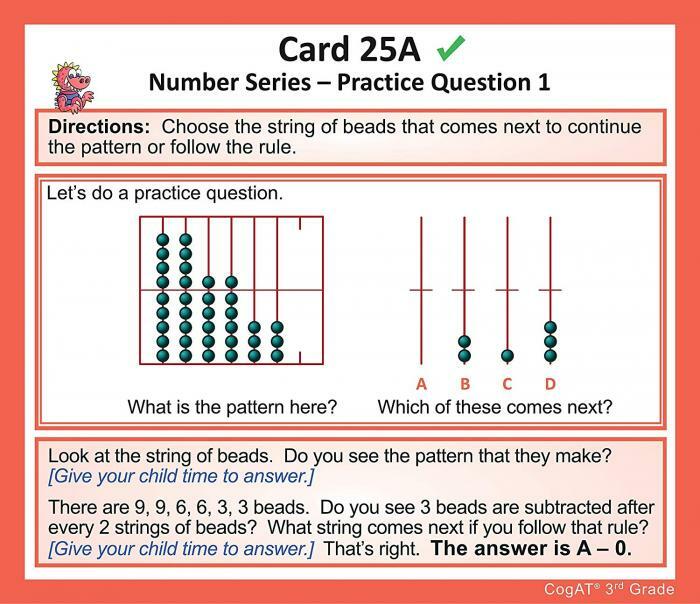 You’ll enjoy over 200 questions and activities for hours of educational fun. 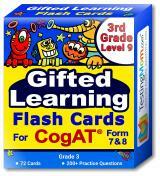 Engage your children in learning with these colorful flashcards featuring our signature entertaining characters and create a powerful bond with your child by learning while playing together! 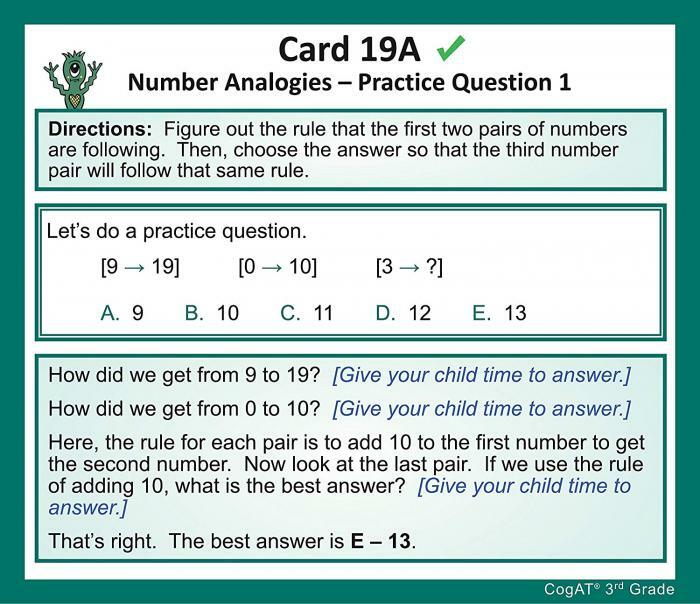 When paired with a TestingMom.com paid subscription available on our website, you will have all of the necessary tools at your disposal to best prepare your child for the CogAT or any other test that he or she might face. Offers you and your child the chance to play and learn together while reducing screen time. 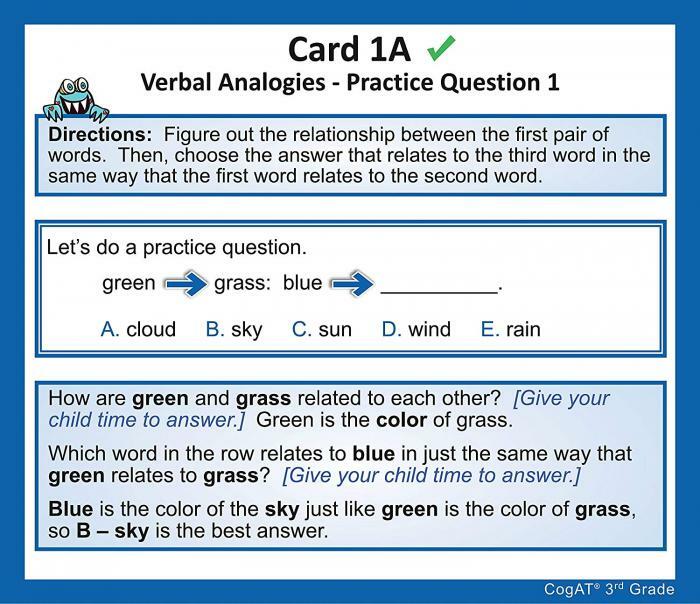 Go through the flash cards with your child to practice listening skills, and then reinforce these abilities by asking your child similar questions throughout the day for lasting learning.